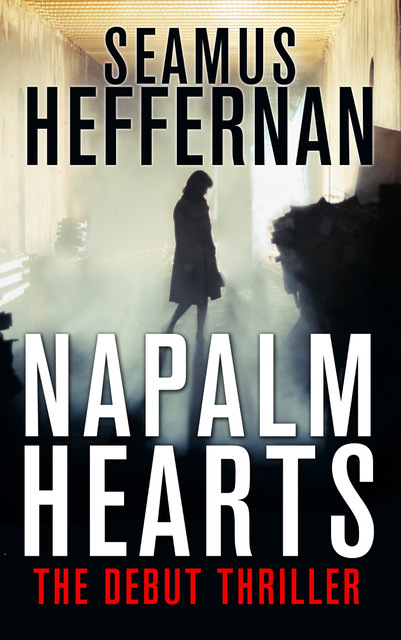 Napalm Hearts is an exciting new work of detective fiction by Seamus Heffernan, out now. Find the girl. Find the truth. Thaddeus Grayle is a successful but bored American private investigator who has grown weary of snooping after the cheating spouses of his adopted city of London, England. Recently divorced and even more recently sober, he fills what little free time he has with movies, baseball and his own torrid affairs. He wants a change, and it finally arrives thanks to a wealthy businessman desperate to find his hard-partying wife—a young woman who might be in the biggest trouble of her life. Capably aided by his associates—the whip-smart Charlotte ‘Charlie’ Colbourne, and ex-copper Francis Ruddick—Grayle goes all in on the case he always wanted, which takes him deep into the city’s seedy underbelly, and face-to-face with an upper-class at war with its own vices. A cinematic neo-noir told with breakneck urgency, NAPALM HEARTS is the debut novel from an exciting new voice in crime fiction.